Whether it’s exploring Jamaica’s coral reefs or hunting big-game fish off the coast of Turks and Caicos, a trip to the Caribbean is not complete without sampling some of the world-famous water-sports on offer. The region is characterised by sparkling ocean, teeming wildlife and long, golden white beaches meaning even the most water averse are usually tempted to dip their toes in. 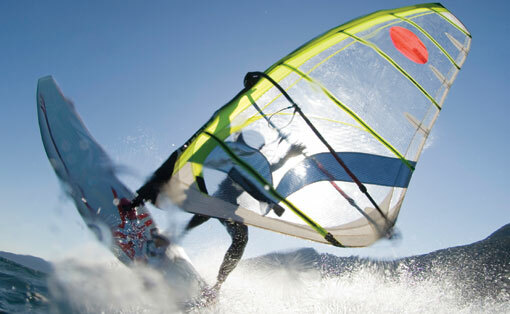 Regardless of whether you are a water baby or prefer keeping your feet on dry land, there’s a water-sport for you. Here we look at some of the most popular. Fishing in the Caribbean is second to none across the World. A combination of gorgeous weather, crystal clear seas and smatterings of reef make the area and idyllic home to an incredibly diverse stock of aquatic life. Whether you want to cast off from the shore or venture out onto the deep sea, there is something for you making the Caribbean popular with everyone from absolute beginners to expert anglers alike. The Cayman Islands claim fishing to be their unofficial national sport, where knowledgeable captains will happily spend their time recounting old tales or offering you advice on how to land the best catch. There are even fishing tournaments held throughout the year. If fishing inland is more up your street, venture to Puerto Rica where you can find Tarpon and Snook in the island’s urban lagoons. Charter a yacht off the coast of Grenada or visit Turks and Caicos for some of the best deep sea catch around. Despite its depleting coral reef, the Caribbean is still a magnificent location to snorkel and scuba, regardless of your experience level. Many resorts offer lessons and even the opportunity to become certified by one of the several internationally recognised Scuba institutions. On your dive you’ll not only see what’s left of the region’s wonderful reef, you’ll also come across its teeming array of wildlife. As well as aquatic life there are also a host of ship wrecks, pinnacles and underwater volcanoes that make the Caribbean an incredibly interesting place to dive. The British Virgin Isles, Puerto Rica and Grand Cayman of the Cayman Islands offer some of the best scuba in the entire region. Whilst not the first place you’d think of for great surf, the Atlantic side of the Caribbean does offer waves to suit all levels of surfer. Visit Rincon, the surfing capital of Puerto Rica, or the Dominican Republic to be surrounded by like minded individuals and great conditions to surf. Found across the regions marinas, hotels and resorts, hiring jet skis for the day is a great way to entertain the entire family. Aside from zipping across the bay, you’re also given the freedom to explore the many cays and islands dotted about the Caribbean. Or if organised fun is more your forte book onto a guided tour and benefit from the local knowledge of a guide who’ll be able to show you all that your island has to offer. Guided tours depart from many of the region’s resorts and marinas; you’ll visit lesser know beauty spots as well as get the chance to fly across the water on a breathtaking, spectacular adventure. How better to spend a morning or late afternoon than learning to sail across the Caribbean? Perhaps you’re already an accomplished yachtsmen and an inter-island hope is within your capabilities. Whatever your level of skill and experience there’s a yachting experience for you here in the Caribbean. In many places you’ll need a license to venture out on your own, but don’t despair – there are a number of marinas and ports that are home to captains who can take you out or prepare you to acquire your very own license. Finally, for the thrill-seekers out there parasailing is an awe-inspiring way to see the ocean and coastline of the Caribbean. You’ll take off and land from a boat (so no need to get wet!) and spend your time soaring through the air, spotting dolphins and other marine life. There are a number of fully licensed parasailing outfits across the region.